Are Board Certified Teachers Highly Effective? The step and lane pay system rewards masters degrees and experience. But research in the last 15 years has repeatedly shown that neither additional degrees nor more years of experience (beyond the first 5) lead to greater student achievement. So if we want to financially reward Great Teachers , step and lane is not the answer. Perhaps there is a different credential that does reliably signal high quality teaching? 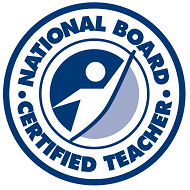 One option embraced by some districts, including all districts in the states of North Carolina, Washington, Florida and Mississippi, is to reward teachers for becoming National Board Certified Teachers (NBCTs). The National Board for Professional Teaching Standards awards this certification to teachers who complete additional training and demonstrate proficiency in their chosen subject area, as well as in teaching practices. To become certified, applicants must take tests, submit lesson plans and other evidence of their teaching methods, and provide two videos of their classroom instruction. Roughly half the applicants receive certification. Achieving certification is a long process, requiring strong commitment from teachers to get through it. Some states, like North Carolina, believe in the value of NBCTs. North Carolina (which has a state-wide pay system and is non-union) dropped master’s degree pay in lieu of additional pay for National Board Certification. National Board Certified Teachers are indeed more effective teachers than non-certified teachers. Applicants who succeed in obtaining their board certification are more effective teachers than those who apply but do not pass. However, NBCTs were also more effective teachers than other non-certified teachers before they started on the certification process. Applicants who did not pass board certification were worse teachers than those who did pass before the certification process was started. Applicants who pass and are certified do not become materially better teachers after certification. So the certification process itself does not lead to improved practice. Certification is a large investment of time and energy from teachers, and costs approximately $2,300 for the examination. The benefits to student achievement, if any, are small. However, as a credential it appears to be an effective signal of good teaching (even if the good teaching was present prior to receiving board certification). That might make it a useful screening tool for new teachers who apply to the District. However, certification does not seem like a very useful way to raise the effectiveness of current teachers. Of the two large scale studies that compared teacher performance before and after certification, one found no change in teacher performance, and one found a very small impact, but only in certain grades and subjects. So there might be some benefit of encouraging teachers to undergo certification, but that benefit seems quite small. Private schools have not embraced national board certification. This should also give us some pause in embracing national certification. If the certification process truly creates better quality teachers, then one would expect to see it make its way into all corners of the profession. The fact that it has only made it into public schools, and almost exclusively into districts where teachers are financially rewarded for obtaining the credential, is a sign that it may not be a useful tool in the quest for creating excellent teaching. As North Carolina, Florida, and other states push national board certification, it will be interesting to see whether the credential retains its value as a ‘signal’. It is possible that national certification, rather than measuring teacher skill, is instead measuring something else that correlates with teacher skill, like motivation and organizational skills. The certification process requires some doggedness and persistence on the behalf of applicants, who must jump through each of the certification hoops. Maybe those who pass the exam are not better teachers per se, but just highly motivated teachers. So the early adopters of certification might just be the go getters. And go getters may also make better teachers. Paying teachers extra for Board Certification would be a small improvement over paying teachers extra for Master’s degrees. Board certified teachers do achieve better results in the classroom. Paying our existing teachers to get Board Certified is unlikely to drive up teacher quality, since the credential recognizes pre-existing quality much more than it creates improved teaching practice. Board certification may be a useful screening criteria for applicants for teaching positions, since NBCTs are more effective teachers on average. This entry was posted in Rewarding Great Teaching on January 13, 2015 by Bob Sage. Another excellent post. I remember many years ago when my children were at Wilmington Friends they would turn the fact that their teachers were not accredited into a benefit. They would say that we have a scientist from DuPont teaching science. Or a statistician teaching math. At the time it seemed very noble but now looking back it may have just been that they did not want to pay the higher salaries that many accredited teachers may have asked for. That being said, I personally think that you can be extremely successful and educated in your field but that does not mean that you are a great communicator or teacher Plus, looking back, who know’s if they really were great in their field or not. Also, many times the unaccredited teacher was not some type of related professional but just an educated person who thought they wanted to teach. Not to say that this meant that they were not a good teacher but from a practical standpoint, I believe having a professional who is trained to “teach” and also has mastered the material that they are going to teach is the right combination most of the time. Four children later, I can tell you that I do not believe that the best teachers are the one’s who have the most education or experience but many times it is. I also do not know if it is the highest level classes that the students always get the most out of. After having almost every teacher in Chadds Ford Elementary, Patton Middle School and Unionville High School and classes from the Fundamental level to AP, I have had a child in learning support and three in AT. I believe that the best teachers are the ones that can connect with your child and bring out your child’s best. Inspire and encourage. Challenge but not overwhelm. Explain so the student is excited to learn more. We are fortunate that we have so many that can accomplish this lofty task. Great presentation last night and believe that you gave the Administration and the school board some excellent points to focus on going forward as we continue on the road to providing the best education possible for our children. You make a good point. Your experience as a parent (and mine as well) confirms what the researchers have found …. it is not the resume of the teacher (age, education, certifications) that makes a great teacher. There are many intangibles … you mention a few like ability connect with each child, inspire and encourage them, and challenge them while also providing support. I think this principle is true in most professions … you can’t judge the effectiveness of a professional by their resume. There is so much more to doing a job well than one’s age, education, and certifications. In my current job I interact with many project and program managers. Some have professional certification (PMP) and others don’t. Some went to elite colleges, and some didn’t. But none of that reliably predicts performance, because jobs are not only what you know, but how apply your knowledge, exercise judgment, interact with customers, etc. And those skills vary widely. One interesting point I think you also raise — as parents we think we know good teaching when we see it. I have also heard our UCF principals and administrators say they know great teaching when they see it. I bet teachers are excellent reviewers of their peers. And students also can recognize good teaching when they see it. If we know it when we see it, maybe that is the start of an alternative way to identify and reward great teachers. I profoundly disagree with your idea of teachers being certified rather than having tangible education. As for comparing school districts in North Carolina, Florida, Mississippi to UCF? I’d rather not. There is no test or certification that can compare to years of hands on expertise, daily interaction with students. Our teachers are woefully underpaid in spite of whatever lovely charts you present. I gladly pay my district taxes knowing my children are receiving a great education from well educated (not simply certified) educators. Perhaps you misunderstood my post … Certification is not my idea, but is an idea that has been pursued by several states, and one that is a policy recommendation of the NEA, parent organization to our PSEA. (See NEA.org/home/31738.htm). National board certification is not an alternative to education credentials. Rather it is something that teachers would obtain in addition to their formal education. So it is complementary. Not needed. Not helpful. And in this school district with its plethora of well educated, albeit underpaid teachers, not necessary.